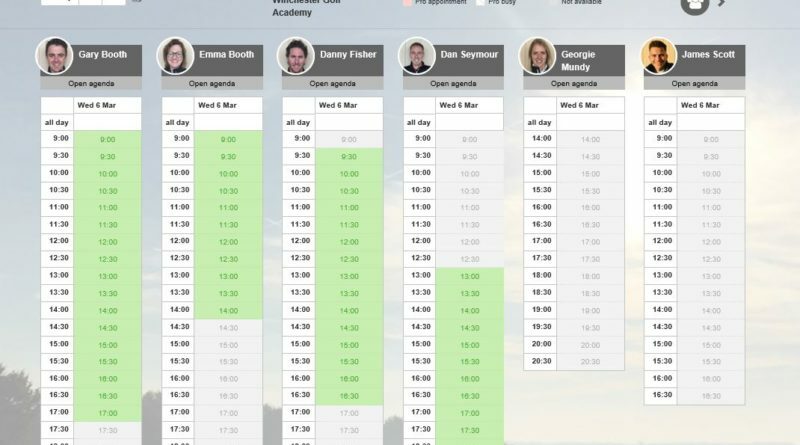 Winchester Golf Academy is excited to announce that it is switching to the market leading online booking system ProAgenda from 1st March 2019 – and this means that very soon you’ll be able to go online and book a lesson or a custom fitting from the comfort of your armchair 24 hours a day, 7 days a week. If you already have lessons booked with us from 1st March onwards, you may receive a few confirmation emails as we move our bookings across. Otherwise watch this space for the live links that we’ll be making public very shortly!